Summertime. It was a song. It was a season. I wondered if that season would ever live inside of me. 4 years living in Japan, I have never step my feet in Hokkaido but I finally did this summer. I went there with le housemate (thank you for driving throughout the whole trip) and a friend who studies in one of the universities there. We took an hour and a half flight ride from Kansai Airport (KIX) to New Chitose Airport, rode a rental car that we booked online beforehand and then went to a hostel called The Stay Sapporo which obviously located at Sapporo. After checking in, we walked towards Sapporo to find the famous Genghis Ramen and unfortunately the taste didn’t quite meet our expectation. To put it not so nicely, the taste was bad. One of the worst ramen I had taste lol. But my friends who had gone there said the ramen was so delicious so I guess it depends on people’s preferences. Otaru Canal is one of the popular spots in Hokkaido so I had a big expectation on how pretty the place is but ended up disappointed. BUT, I do admit that the place looked prettier at night. 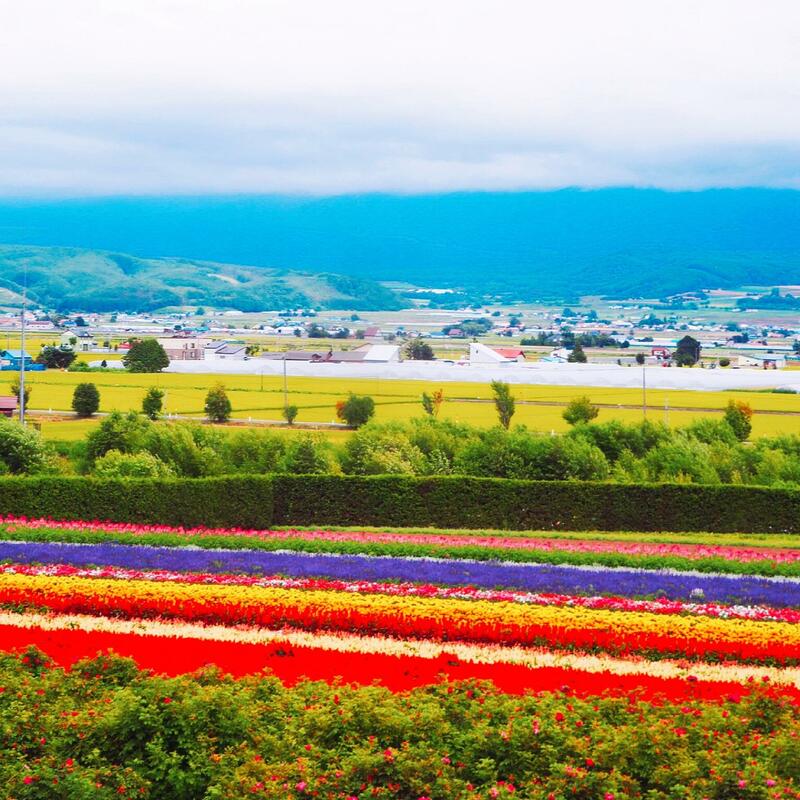 The third day, my friend who studying engineering in Hokkaido came and joined us for a flower hunting trip to Biei and Furano. Because the price of lodging places in Furano/Biei area are ridiculously high, to begin with, and plus the fact that on the dates of our trip in Hokkaido overlap with the Japanese public holiday, I chose to stay in a much cheaper hotel in Asahikawa which is 30 minutes drive from Biei. According to Wikipedia, the colour becomes blue as the result of the accidental presence of colloidal aluminium hydroxide in the water.